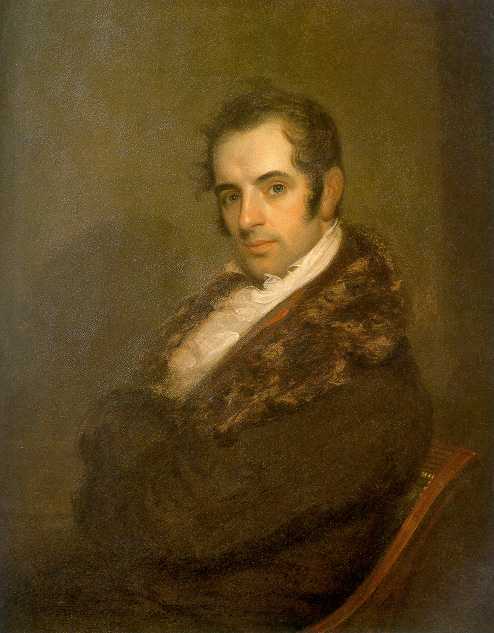 American author, essayist, biographer, historian, and diplomat, Washington Irving was born in New York City in 1783. He is best known for his short stories, The Legend of Sleepy Hollow and Rip Van Winkle , both published in his book, The Sketch Book of Geoffrey Crayon, Gent , as seven paper-bound installments between June 23, 1819 and September 13, 1820. Irving made his literary debut in 1802, publishing a collection of observational letters under the pseudonym Geoffrey Crayon. He moved to England in 1815 and gained international acclaim with the success of The Sketchbook fo Geoffrey Crayon, Gent. Irving was among the first American writers to earn fame in Europe, along with James Fenimore Cooper. Authors Nathaniel Hawthorne, Edgar Allen Poe and Herman Melville were among the distinguished authors who benefited from Irving's encouragement. Irving continued to write regularly, returned from abroad and traveled deep into Indian territory, then accepted a post in Spain. He published biographies about writer and poet Oliver Goldsmith (1849) and a the Islamist prophet Muhammad (1850). With his popularity continuing to soar, Irving kept up with correspondence and socialized well into his 70s. Irving died of a heart attack in 1859, eight months after completing his significant biographical series on George Washington. Appropriately enough, Irving was buried in Sleepy Hollow Cemetery.